Drinking beverages high in sugars and acids not only affects your oral health, but your general health as well. In addition to tooth decay and cavities, sugar-sweetened beverages (SBB) can also result in other health risks including obesity, diabetes, and heart disease. SBBs can “camouflage” sugar by floating it in liquid and then disguising it in a bottle or can. You can’t see the sugar, so it is difficult to measure it. At Warner Lakes Dental, we thought we’re making it easier for you by measuring expressing this sugar in teaspoons and grams, which we all understand! Soft Drinks – Everyone knows these contain sugar, but that amount varies. A 355 ml can of Coca-Cola has 10 teaspoons of sugar (39 grams), while a Mountain Dew has over 11 (47 grams). Fountain Drinks – These are big! A 7-11 Big Gulp has 32 teaspoons of sugar (91 grams), while a Super Big Gulp has an unhealthy 40 teaspoons (146 grams)! Fruit Juice – Fruit juice contains plenty of sugar. Golden Circle Tropical (591 ml) has 17 teaspoons (70 grams) and Snapple Lemon Iced Tea (473 ml). Even Orange Juice (591 ml) contains a surprising 12 teaspoons (48 grams)! Milk Drinks – We think of milk as healthy, but it does contain sugar. Chocolate Milk (473 ml) contains 16 teaspoons (58 grams), while even the “healthy” alternative, Vitasoy (240 ml) contains 4.5 teaspoons (48 grams) of sugar! Warner Lakes Dental, asks you to “think about what you drink!” And try to choose more nutritious alternatives to sugar-laden drinks. Choose to stay healthy and live well! 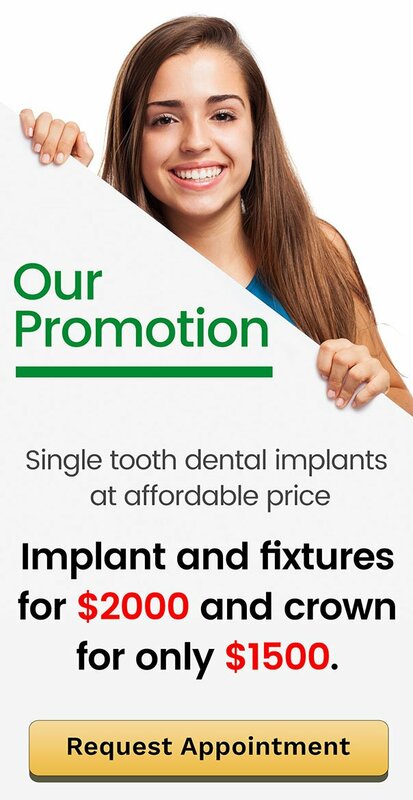 Book your appointment online to claim the Special Offers for New Patients.